Homeowners assessing tree damage caused by recent storms will want to make a few important decisions soon. 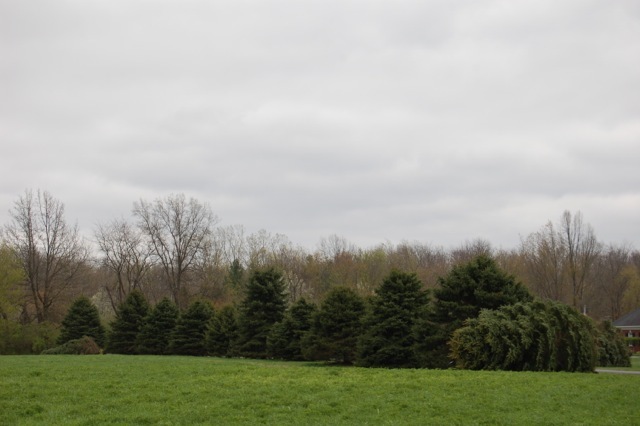 Small trees with minor damage can probably be taken care of by the homeowner, but large, mature trees likely will need the help of a professional tree service. It can be hard to decide whether trees with severe damage should be removed. Homeowners often are reluctant to cut down a tree, either because of sentimental attachment or because the tree provides shade or screening that won’t quickly be replaced. It can also be quite expensive to have a large tree removed. 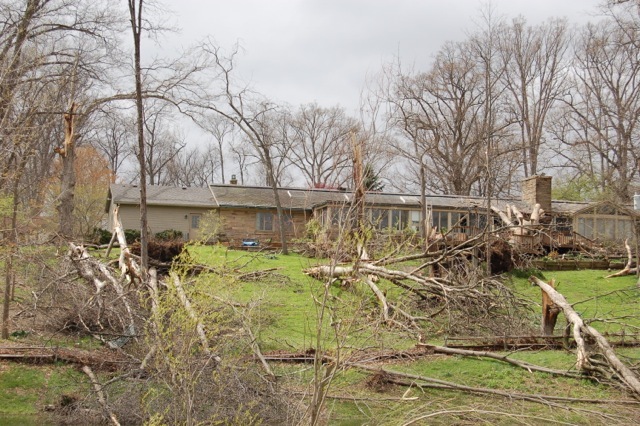 Purdue Extension resources help homeowners cope with storm-damaged trees. But the first priority should be safety. Assess whether the tree or some of its branches are in danger of falling now or in the near future. If the tree is not an immediate danger, you may be able to plant a new tree nearby and wait for it to grow a bit before removing the old tree. Just because a trunk is split does not necessarily mean the tree will die soon. Large, split branches or trunks that have not broken off the tree can be braced and possibly saved by an arborist. If limbs have fallen off the tree, there is nothing that can be done to save them. In either case, the wounded area in the tree will always be a weak spot that is susceptible to disease, rotting and insects. For trees that have just a few damaged limbs, it is relatively easy to remove small, lower branches with loppers or a pruning saw. Use sharp pruning tools appropriate to the size of the job to ensure a clean, smooth cut. Use hand shears on branches up to one-quarter inch in diameter, loppers on branches up to 1.5 inches in diameter and a pruning saw on branches more than 1 inch thick. Look for branches that already have broken free or been partially severed and may have left a jagged stump on the trunk. Make a cleaner cut on those branches to help facilitate the growth of natural callus tissue that with time “seals” the wound. Hire a certified arborist for larger limbs or those too far up to reach. Arborists have the appropriate tools and equipment to safely bring down large or high limbs so that the tree, a house or other nearby objects will not be damaged. In general, pruning sealants or paint are not recommended for treating pruning wounds. There is some controversy regarding these products, but generally they have not been shown to be helpful. Additionally, there is some evidence that they interfere with the tree’s ability to form a protective callus over the wound. Find more detailed information on storm-damaged trees in Purdue Extension publication FNR-FAQ-12-W, “Trees and Storms” at http://www.extension.purdue.edu/extmedia/FNR/FNR-FAQ-12-W.pdf. For pruning information, download Purdue Extension publication HO-4, “Pruning Ornamental Trees and Shrubs” at http://www.hort.purdue.edu/ext/HO-4.pdf. And for more information on hiring a professional tree service, see Purdue Extension publication FNR-FAQ-13-W, “Why Hire An Arborist” at http://www.extension.purdue.edu/extmedia/FNR/FNR-FAQ-13-W.pdf.